I love visitors. Especially when they bring home grown food straight from their garden. 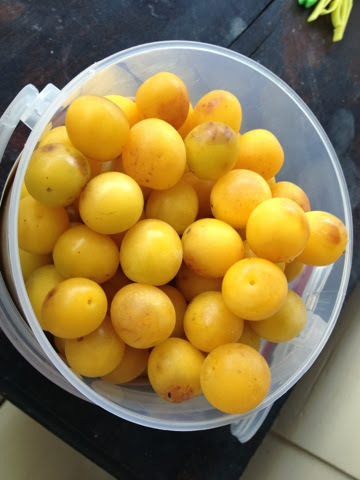 A few weeks back we came home to find a bucket of greengages at the back door. They were absolutely delicious. Thanks Laurence! 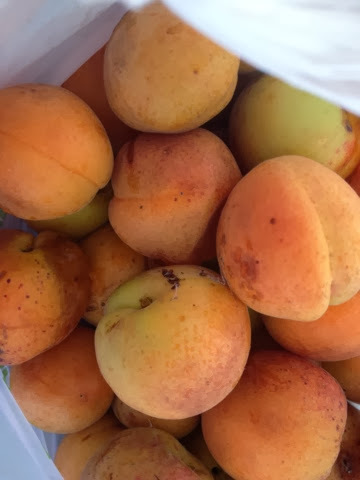 This morning my mother in law (aka Gandy to the kids) rang to say she was dropping some apricots off-picked freshly from her tree. "They're like a ray on sunshine...in a fruit" she said. Wowsers. They certainly are. Hmmm. Yummy. Thanks! !